Order your CBI Livewinder Pedal Snake with Instrument Cable and Patch Cables from AMS and enjoy 0% Interest Payment Plans, Free Shipping, Free Extended Warranty & 45 Day Money Back Guarantee. The Livewinder Bundle 6 is the solution for connecting your pedalboards to your amplifiers. Simple, reliable but most important high quality. 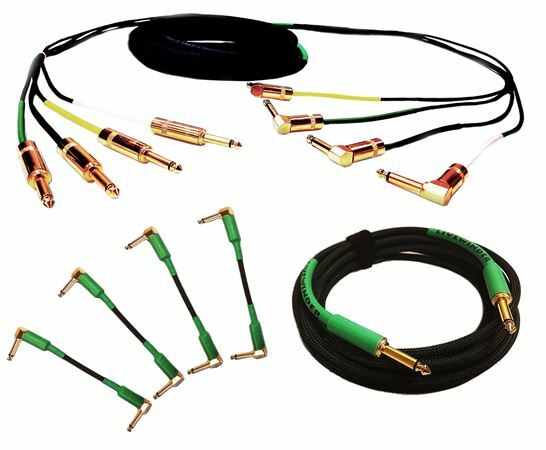 The CBI Livewinder is 4 pairs of 24 gauge individually shielded cable under a single jacket with 1/4" Neutrik Gold Tip / Sleeve connectors.